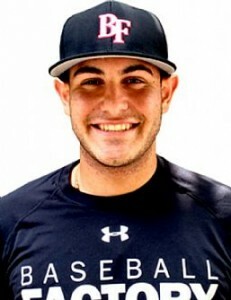 Gregory Veliz was the only two-way player at the 2015 Under Armour All-America Game. He first appeared on the mound, where he reached 95 mph with his fastball in the 3rd inning for the National team. He entered the game defensively in the 7th inning at 3B, and slid over to SS for the 9th. 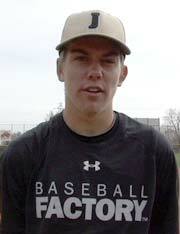 An exceptional athlete with a strong body and arm, Veliz projects best on the mound with his low 90s fastball. Low effort balanced delivery, works from a three-quarters slot to generate excellent life. Reached up to 92 but can throw harder. 2-seamer was up to 91 and looked like a sinking/tailing bowling bowl – could get through a lineup with only that pitch. Spins a curveball with very good rotation, change is a work in progress. Has the makings of a mid 90s sinker/slider guy in the future. Plays SS and has good feet, adequate hands and plenty of arm strength from different slots. Confident and athletic defender, probably best suited for 3B. A left-handed hitter with present strength. Uses lower half well. When in sync it comes off very hard.